Last night, Christie's held their Impressionist & Modern sale in London, which saw a £95.9 million total, inclusive of premium. Although this figure is not a patch on last year's £147 million total, the sale was not a complete disappointment for the market. 75% of lots sold, a hopeful figure for 2016. 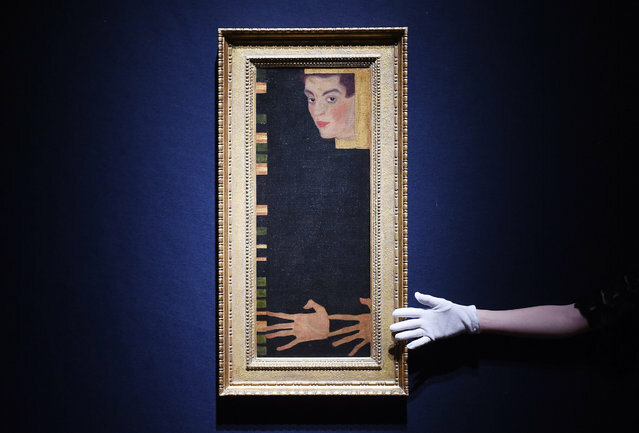 One of the top lots of the sale was Egon Schiele's self-portrait from 1909. 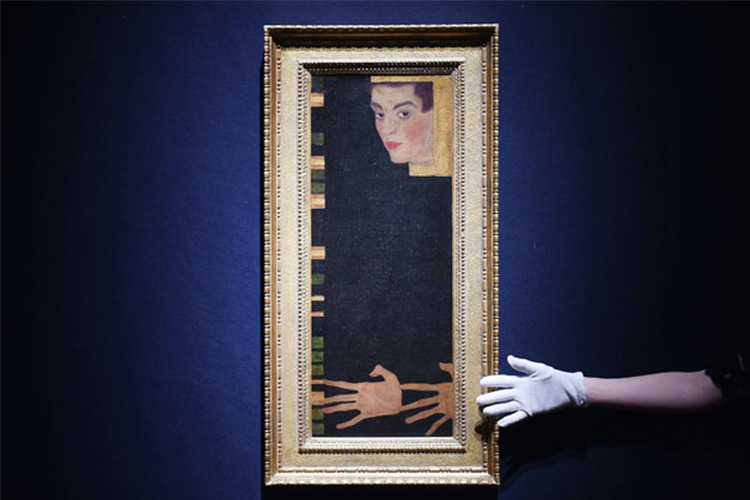 The piece sold in 2007 for £4.5 million and last night sold for £7.2 million against a £6-8 million estimate. Marc Chagall's Les Maries de la Tour hit its top estimate as it sold for £7 million. A new record was set for Neue Sachlichkeit artist Georg Scholz, whose work last night sold to Acquavella Gallery, New York, for £1.2 million, four times the low estimate . Max Ernst's The Stolen Mirror set a record back in 2011 when it sold for £10.3 million to a European collector at Christie's, New York. This year, it was given an estimate of £7-10 million, with a telephone bidder purchasing it for £7.6 million. 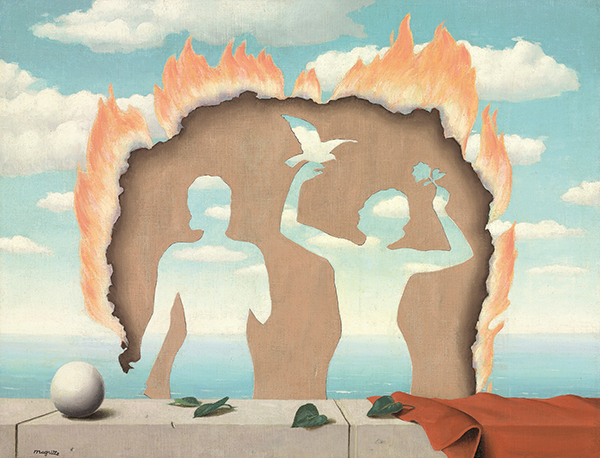 Disappointment also came in the shape of Magritte's Mesdesmoiselles de l'Isle Adam, 1947. In 2014 it was sold at Christie's, New York, for $4.3 million, below its estimate. 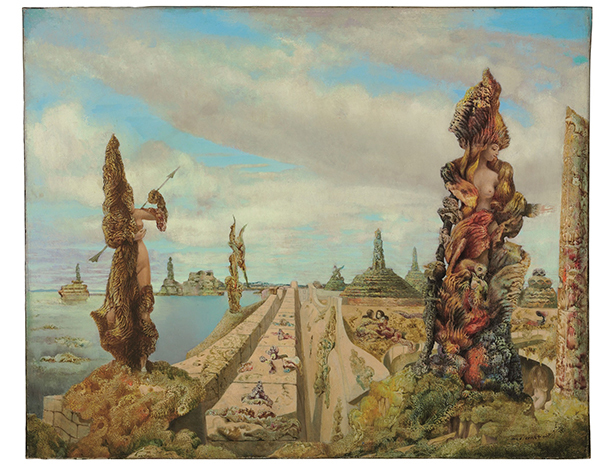 Last night, with an estimate of £2-3 million estimate, it sold for £2.86 million. See realised prices for Christie's here.